From the author of The Reluctant Fundamentalist, a love story that imagines the forces that transform ordinary people into refugees -- and the impossible choices that follow -- as they’re driven from their homes to the uncertain embrace of new lands. Hamid draws enchantment from abstraction, in the style of a fairy tale, and his narrative vantage point shifts through time and space with a godlike equanimity ... Hamid, through this roaming narration, gently diminishes Saeed and Nadia, freeing them from the burden of speaking for the millions who share their condition. 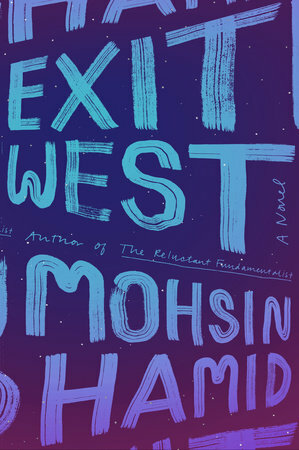 They seem like the focal point of Exit West, rather than its center, even though they’re the only characters who are given names ... Hamid rewrites the world as a place thoroughly, gorgeously, and permanently overrun by refugees and migrants, its boundaries reconfigured so that 'the only divisions that mattered now were between those who sought the right of passage and those who would deny them passage. ; He doesn’t flinch from the mess and anger that come from redistribution and accommodation—but, still, he depicts the world as resolutely beautiful and, at its core, unchanged. The novel feels immediately canonical, so firm and unerring is Hamid’s understanding of our time and its most pressing questions. Hamid’s enticing strategy is to foreground the humanity of these young people, whose urbanity, romantic inclinations, upwardly mobile aspirations and connectedness through social media and smartphones mark them as 'normal' relative to the novel’s likely readers. At the same time, he insists on their 'difference' from readers who may be Western. Their city is besieged by militants who commit terrible atrocities, evoking scenes from Mosul or Aleppo ... Hamid takes full advantage of our familiarity with these scenes to turn Exit West into an urgent account of war, love and refugees ... The novel implicitly asks these readers why doors should be closed to refugees, when those readers might become refugees one day? How these doors work is not Hamid’s concern. The doors can be manifestations of magic realism, fantasy or science fiction, or all three, but they simply stand in for the reality that refugees will try every door they can to get out ... This gentle optimism, this refusal to descend into dystopia, is what is most surprising about Hamid’s imaginative, inventive novel. A graceful writer who does not shy away from contentious politics and urgent, worldly matters — and we need so many more of these writers — Hamid exploits fiction’s capacity to elicit empathy and identification to imagine a better world. Writing in spare, crystalline prose, Hamid conveys the experience of living in a city under siege with sharp, stabbing immediacy. 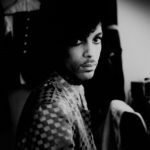 He shows just how swiftly ordinary life — with all its banal rituals and routines — can morph into the defensive crouch of life in a war zone ... In summary, it might sound perversely counterintuitive of Hamid to use a fairy-tale-like device as a way to move his characters from their war-torn homeland to a new life in the West...Hamid, however, is less interested in the physical hardships faced by refugees in their crossings than in the psychology of exile and the haunting costs of loss and dislocation ... By mixing the real and the surreal, and using old fairy-tale magic, Hamid has created a fictional universe that captures the global perils percolating beneath today’s headlines, while at the same time painting an unnervingly dystopian portrait of what might lie down the road. What did you think of Exit West?